This is the third in a three part series in investigating why your love candle spell isn’t working. To read part one, click the blue words here, “Free Candle Spells | Why Your Love Candle Spell Isn’t Working Pt. 1”. To read the second part of this series, click here to read, “Free Candle Spells | Why Your Love Candle Spell Isn’t Working Pt. 2”. So we have covered some reasons that your candle spell wasn’t working with problems that may have existed before you even considered putting flame to a wick. The second part delved into cheap changing of products and the possibility of being a victim of a rip-off artist. Part three rounds up some more things to consider even after you have eliminated the problems brought up in Parts 1 and 2. This last section focuses on you and your actions in regards to the candle spell. What you do and say will help determine the outcome of the candle spell, and that is why many will tell you to plan, prepare, revise, research and revisit the petition papers, herbs, oils and candles you use. 7. ) Giving vague or accurate information for the reader/spellworker to properly prepare a candle spell. Oh this is a doozy. In the near past, I had someone who contacted me about a candle spell they were considering. Theirs was a ‘Double Big Mac with extra Cheese” – type of issue. I strongly suggest a reading – not only to determine if the work was validated but if I was the ‘One’ who should be performing this spell (something I do ask in my readings with a client). I also ask if the outcomes will be successful because I do not want to have a client “throw good money to the bad” if the outcome will not be what they wanted. Remember – we are petitioning the Higher Power for our best outcome – and if the Almighty does not want the petition to come to its’ fruition, it won’t, plain and simple. So I do the reading for the person, and in it I find multi layers of items that are loosely related, but in the end, not best for the client. 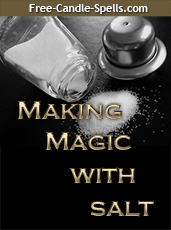 The client reveals to me some candle spells that they are doing, substituting one thing for the other (like candles), and it turns out a big mess. I suggest to the client to bite it off like a Big Mac, because you cannot eat one in one bite. I tell them to first determine what is most important to work on, then systematically do candle work for each item. Comes to find out, there is even MORE issues, and the slip up was their e-mails asking for yet more information and it all had to be done be the end of the month! Readers, be honest with your rootworker/spiritualworker. We cannot do the best for you if you are withholding pertenient information and we use the ‘wrong’ oil, candle or herb. It sets up a situation that you will not be happy with the results and then you’ll bad mouth your worker all over town. We all need to Trust. 8. ) You are fixated or obsessed over the candle spell as it works or the outcome. – One of the most saddest things is when someone has contacted me, waited on considering a candle spell, and then when faced with either a worst situation or they come up against time limits, they are bombarding me with calls and e-mails. Doing research is fine and I encourage it, both for the one doing the spell or reading for you, but also the products suggested to be used. However, when push comes to shove, it is not suggested that you become the ‘elevnth hour’ participant, and then expect hour-by-hour updates on the candle spell. I strongly suggest that if you cannot trust your candle spell caster, either do the spell yourself or do not do anything. Obsessing and worrying about the outcome not only makes you crazy but consumes vast amount of energy that you may need for regular daily use. Light the candle with CONFIDENCE and walk away. 9. ) 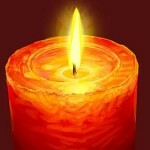 You tell others about your candle spell work – There was a saying in World War II – “Loose lips sink ships”. When you reveal your candle spell work to others, you set yourself up for speculation and envy, spite and fear – all coming from the listener. Keep your business to yourself. “Nuff said! 10.) You are a “Stalker” or you are harassing the intended in the candle work – Nothing screams “bad outcome” more than a client who either won’t stop or let go – usually because of wanting revenge or destruction of the intended because of hurt, anger or spite. How I personally could have done negative spell work on my ex but I didn’t, because they were their own ‘worst enemy’. My Godmother actually suggested that I BLESS them (scratches head). If I BLESS them, then for sure they will have a good, comfortable life, let down their guard, and eventually I would get my back pay. HEYYY! Guess what? That is happening right now.